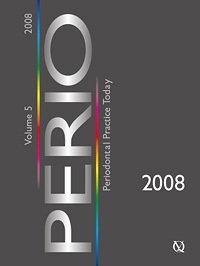 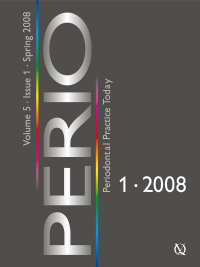 The aim and scope of Perio is to publish articles relevant to the science and practice of periodontics and related areas. The goal is to create a communication network among dental professionals. This journal has ceased publication. is published by Quintessence Publishing Co., Ltd., Grafton Road, New Malden, Surrey KT3 3AB, Great Britain. Court domicile and place of performance: London, Great Britain. This web edition is produced by Quintessenz Verlags-GmbH, Berlin.